Cookies - Our site stores cookies on your computer. These cookies are used to improve our website experience by remembering your preferences. To decline and erase current Jobscan cookies, click Opt Out below. Guest Scans - Our site processes your resume to analyze it and offer optimization tips based on your resume content. If you don't want this information to be stored on our server, please refer to our GDPR update to request your data to be deleted. Profile Data - If you sign up with a Jobscan account, our site stores your personal data. We need this data for the core functionality of Jobscan to work. We will never sell your data to third parties and will only keep the minimum data possible. If you want to permanently delete your Jobscan account, please refer to our GDPR update to request your account to be deleted. The first step to finding a job is to figure out what type of job you want. For some, this is a no-brainer. You might already love the field you work in, just not your current job. For others, a fresh start in a new field sounds like the perfect next move. If you’re hoping to start a career in a new field, but are unsure of what field you want to work in, ask yourself what types of things you love to do. Have you always been great with numbers? Check out Accounting or Actuarial Science. Love working with computers? IT or Software Engineering could be a good fit for you. If you’re in college, explore college course catalogs to brainstorm ideas. Which classes catch your interest? What careers do those classes apply to? If you are changing careers, ask your friends and former colleagues what skills they think are your strongest, or what career they see for you. Sometimes your perception of yourself is much different than that of your friends. If you want to change fields and already know which field you want to move into, your first step should be to learn as much as you can. Talk to people in that field and make them your mentors. You should also connect with fellow alumni who work in your desired field. Making connections and finding people to give you advice will ease your transition. Your resume will be your best friend in your job search. It is the number one tool you have at your disposal to land your dream job. With this face in mind, your resume deserves a substantial amount of time and effort. If you have a solid resume, clean it up. If you already have a resume but don’t love it, start over. Before you begin writing your resume, make sure to choose the correct resume format. There are three main resume formats: chronological, functional and hybrid (a combination of the first two). The resume format you choose will determine what aspects of you and your experience stand out the most to the hiring manger. For example, someone with relevant work experience and a strong education will most likely want to use a chronological format because it highlights those points. If you are changing career fields, it is possible that a functional or hybrid resume will work best because they put less emphasis on experience and more emphasis on skills. Online applications go through resume screeners (also called applicant tracking systems) have created a need for precise resumes. A basic resume includes contact information, education, work experience and skills (not necessarily in that order). But applicant tracking systems (ATS) call for a more thorough resume writing process. ATS scan applicant’s resumes and put all of the information into a candidate profile. From there, hiring managers can search the database by keyword, location, education and more. If your resume is missing certain keywords or other searchable information, there is a good chance it will never be seen by the hiring manager. The most important thing you can do is to add keywords directly from the job posting to your resume. You want your resume to jump to the top of the list when the hiring manager searches by keyword. This means you will need to tailor your resume to each job you apply for, but it will make a big difference. Now that you know what needs to be included in your resume, it’s time to start writing. Our Resume Writing Guide will give you step-by-step guidelines for writing your resume. Resume templates and resume builders are also great free tools for building the perfect resume. If you put in the time to create a strong resume, you will be investing in your career. Think of your resume as a living document. It should change and evolve as your work experience changes and evolves, but the backbone will remain the same. The job search process can be broken down into three main parts: networking, online networking and job boards. 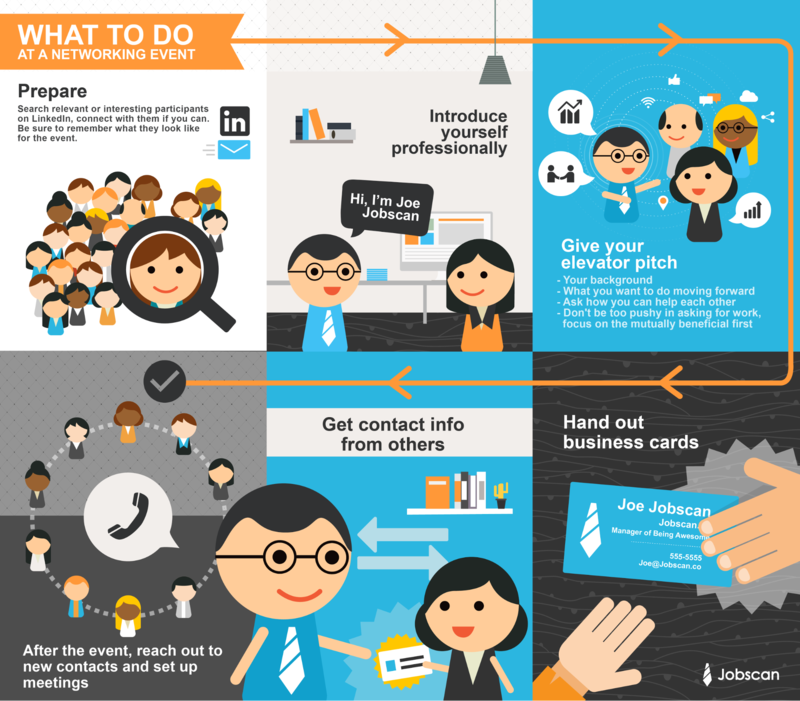 Whether you are staying in the same field or moving into a new one, networking should be a big part of your job search. There are tons of different ways to network, including attending local events in your field, going to conferences, and grabbing drinks with former colleagues. Hand out business cards (from your current company or a new set of your own) to make sure people have a way to contact you. Social media is another useful tool for networking. LinkedIn is your best bet, since you can connect to other professionals, view resumes of people in your field to see what yours is missing and apply for jobs. Don’t be shy with your connections. Connect with hiring managers, colleagues, fellow alumni, old bosses, potential new bosses and recruiters. Your goal is to make yourself more visible in the professional world. LinkedIn Groups are another way to find people in your field. Connect with other active group members and join discussions within those groups to get your name out there. Facebook and Twitter are also viable options, though less conventional. Follow companies you are interested in working for to see what events or job openings they have coming up. Consider following recruiters and CEOs, just like you would using LinkedIn. If you are going to leave your profiles on public mode, make sure they reflect your professional self and are up to date with all work information. Job boards are overflowing with jobs in every field. Make sifting through job boards part of your daily schedule, since it will likely be the most rewarding. Take time to apply for each interesting job, and remember to tailor your resume for each one. The trick with job boards is to check out a bunch of them, then decide on your two or three favorites. Don’t get overwhelmed by checking 10 job boards daily. As long as you are frequently checking the boards with the best jobs in your industry, there is no need to go crazy. Simply Hired: Use special search criteria to find out which companies hire the most veterans, have the highest diversity ratings, and are the most eco-friendly. Simply Hired is a top job board for IT job openings. ComputerWork.com: This job board is geared specifically toward IT positions. It has been used by job hunters for years. Engineer Jobs: The leading job board in the field of engineering, with over 300,000 job postings. USAJOBS: The job board for the federal government, and a great resource for engineers and all job hunters. CareerBuilder: One of the largest job boards with a highly developed search function. Indeed: This aggregator searches job boards across the Internet and puts them all in one place. Monster: With the search capabilities and size of CareerBuilder, Monster also has networking boards to help you connect with others in your field. Glassdoor: Find jobs and read reviews from current and former employees before applying. You can even view salary comparisons. College Recruiter: This job board is ideal for finding internships and first jobs. Many positions are entry-level. 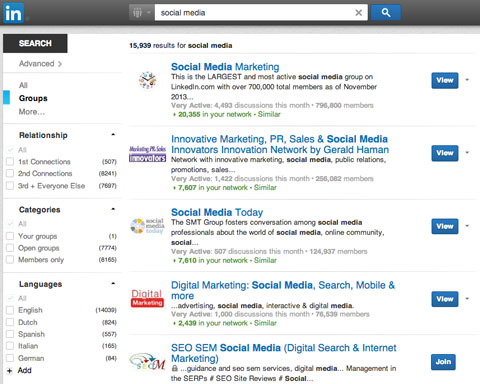 LinkedIn: The “jobs” tab can help you search for opportunities in your area and within your network. Gone are the days of handing in paper applications! Most often, job applications are submitted online. Many of those online applications are submitted through applicant tracking systems. You may or may not be able to tell whether you are applying through an ATS (some will say “Powered by Taleo” or another ATS name, others will not), so it is best to assume you are. Once you have your perfect resume, and it has been tailored to the job position, run it through a keywords match program, like Jobscan to make sure it is ATS optimized. Jobscan gives you a match rating and tips for improvement. Plus, it’ll show you a list of other jobs that fit your resume. 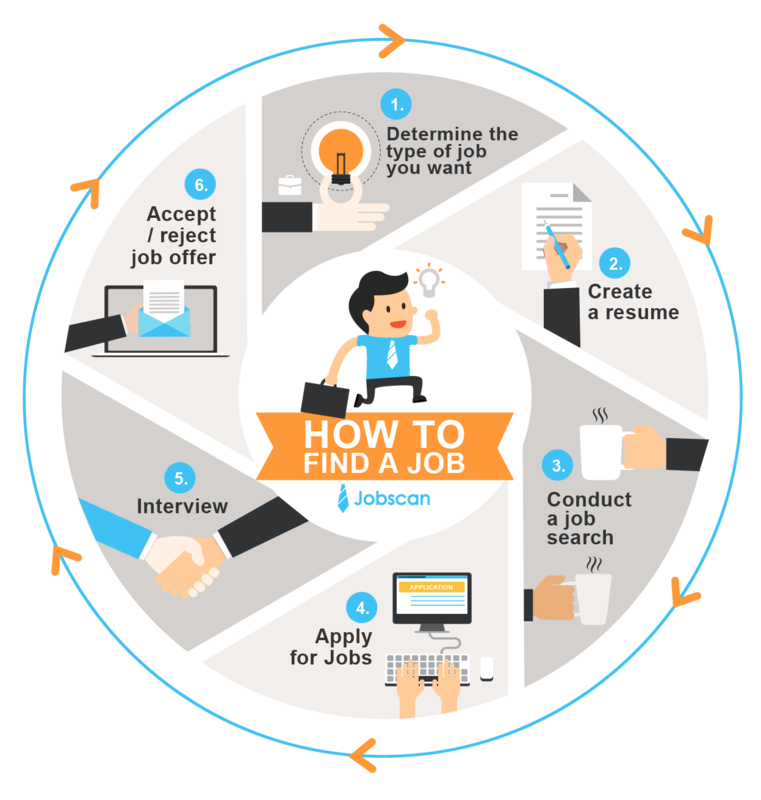 Below is a demo of how Jobscan works. ATS will often ask you “knockout questions”. Knockout questions are a way of making the applicant pool smaller by rejecting candidates immediately based on how they answer certain questions. These can be yes/no or short answer. Be prepared for knockout questions and answer each one thoughtfully with the particular job in mind. An example of a knockout question is, “Do you have more than 4 years experience in this field?”. In that case, the job description likely asked for only candidates with 4+ years experience. Answering “no” to this question would flag your application as “rejected” in some ATS. It is very important for candidates to be completely honest when answering knockout questions. If you lie on a knockout question and get through to an interview, you are just wasting your time and the time of the hiring manager. A good rule of thumb is to let your resume show your experience, and your interview show your personality. Now that you’ve gotten an interview, you can let your personality shine through. Before going into an interview, research the company thoroughly. LinkedIn and the company’s website will teach you about the current employees and mission of the company. You will feel much more comfortable in the interview if you’ve done your research. Plus, the interviewer will know you are a serious candidate when you show you already know about the company. Researching a company before you interview will not only make your interview go smoothly, but it will give you insight into what working for that company would be like. Glassdoor houses reviews by current and past employees of each company and compares salaries. While interviewing is a great way to get experience, you shouldn’t necessarily take every interview. Ask yourself, “Can I see myself being happy at this company?” If you can or aren’t quite sure yet, go for it! However, it can be great practice to go to interviews if you aren’t quite sure. Interviews are all about putting your best foot forward. That starts with dressing the part. If you aren’t sure what the dress code of a company is, err on the side of caution by dressing in business attire. If you are interviewing at a company with no dress code, it is smart to at least dress in business casual attire. Prior to the interview, practice interview questions (this app is a good one) and think about what makes you a good candidate for the position. In the interview, take time to answer each interview question. Think about how you can relate each answer to the job position, and turn the questions into a discussion with the hiring manager. Hiring managers want to see how you work with other people, so creating a comfortable rapport with the hiring manager, while remaining professional, will prove your collaboration abilities. One way to think of an interview is to go into it with the mindset of a consultant. Ask yourself, “what problems does this company have that I can help solve?”. Keep in mind that job interviews are different in every industry. If you are interviewing for the first time in a new industry, it would be beneficial to do some research or ask around to find out what those interviews usually include. For example, a software engineer might be asked to show their skills on a dry erase board. Other technical jobs might ask you to evaluate or submit code to show your knowledge. When the job interview is over, take a few minutes to write a short thank you note to the hiring manager. Most people send a quick email which is perfectly fine. If it feels appropriate, you can make it a little bit more personal by bringing a plain thank you card to the interview and filling it out before you walk out the door. Leave the note with an office manager or assistant for the hiring manager. You got the offer! Congratulations, we knew you would! Now comes the part when you are in charge. Are you going to accept or reject the job offer? Many factors affect your decision of whether to accept or reject a job. Did you like the company culture? Is the salary/hourly wage enough for your lifestyle? How is the commute? While some of these factors cannot be changed (we doubt the company will move the office closer to your home), some have more wiggle room. Pay for example, can often be negotiated. Don’t be afraid to negotiate when it comes to pay. Remain professional while discussing your salary/hourly wage. Ask first if there is any wiggle room, then based on their response, follow up with a reasonable number. Companies want their employees to be happy with their jobs, and companies are willing to compromise once they have found a great candidate like you. When you’ve ironed out all of the details (perhaps there was no ironing to be done), send a formal acceptance/rejection email. Keep it short and concise, thanking the hiring manager for his/her time in both cases. If you are accepting the position, let them know how excited you are to begin. If you are rejecting the position, simply say you do not think it is a great fit for you, but you enjoyed learning more about the company. Even after you get a job, you should maintain your resume and connections. Keep your LinkedIn profile up to date, and check in on your resume every few months to make adjustments. If you have a Jobscan membership, keep that resume current as well. Continue networking, and keep conversation going with connections who can help you in the future. These days, it is not rare to have several different jobs throughout a person’s lifetime. Keeping your resume updated will save you a lot of energy when the time comes to start the job search process over again.